Fruits and vegetables are most important parts of the daily natural diet. These are widely used in the food and beverage industry for various purposes as coloring agents and flavoring agents. These may be in the form of pastes, concentrates powders or in pieces form. Global fruit and vegetable ingredients market is mainly driven by the growing demand for the processed food and beverages worldwide. In addition, substantial growth and technological food and beverages industry, technological advancements and shift towards the natural ingredients expected to boost the global fruit and vegetable ingredients market over forecast period. Moreover, rapid urbanization led to the adaptation of packaged and ready to eat food such as bakery products, juices enables fuel the market. However, activities such as adulteration of fruit and vegetables and high price of fruit and vegetables are expected to hamper growth of the market. Furthermore, fluctuations in availability of fruits due to seasonal variation and varying prices of fruits and vegetables projected to impede the fruit and vegetable ingredients market growth over the forecast period. Global fruit and vegetable ingredients market is expected to grow at notable rates over the forecast period owing to rising demand for the processed food and beverages. 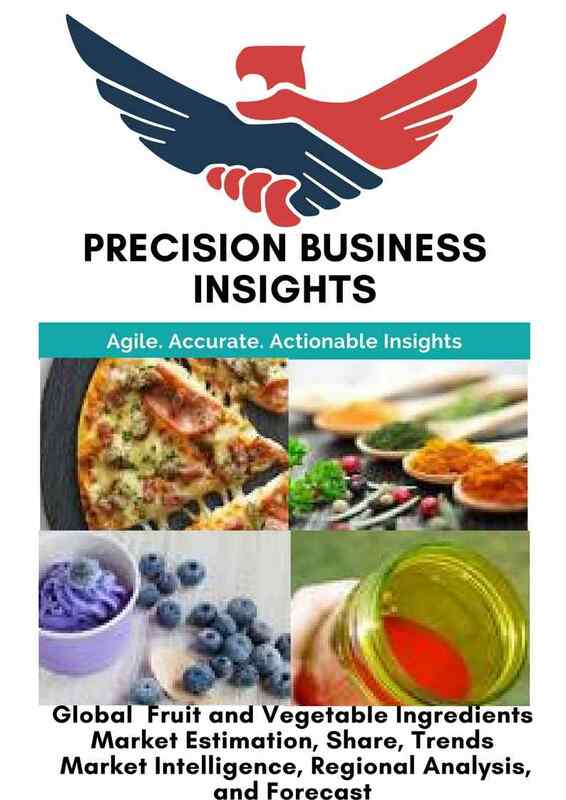 To obtain the competitive advantage, companies in fruit and vegetable ingredients market are adapting majorly acquisition or merger strategies. For instance, in may 2016, Diana Food acquired Nutra Canada, company specialized in the manufacture of small fruit and vegetable extracts to strengthen its position in fruit and vegetable extracts. Similarly, in May 2014, Naturex, a key market player in global specialty plant-based ingredient market, acquired Vegetable Juices Inc. to double its food and beverages operations in united states and particularly, in the technical segment of vegetable-based ingredients. 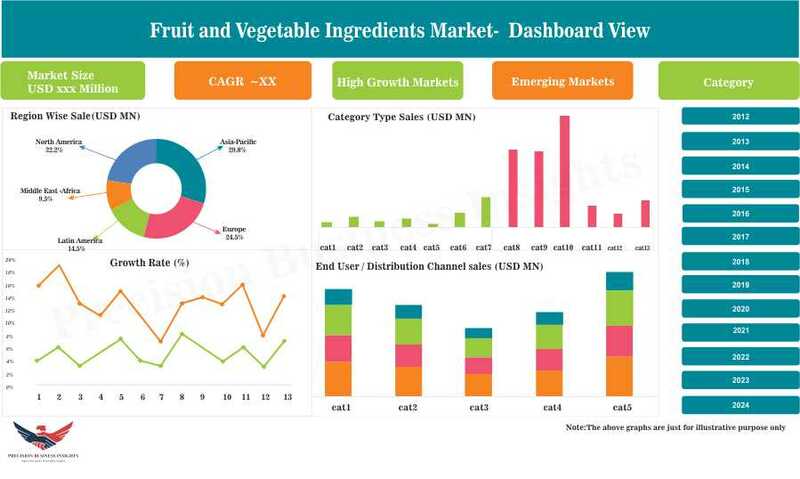 Geographically, fruit and vegetable ingredients market is segmented into five regions i.e. Latin America, Asia Pacific, Europe, North America, and the Middle East & Africa. North America fruit and vegetable ingredients market is expected to grow at notable rates owing to factors such as high demand for the processed food and growing awareness about the healthy consumption of food and beverages. Asia Pacific market expected to project lucrative growth opportunity owing to change in lifestyle towards the consumption of processed food, bakery, and beverages especially in China and India. Latin America also expected to be a notable region for the fruit and vegetables ingredients market owing to increase in consumption of processed dairy and ready to eat food products. In August 2017, Bösch Boden Spies GmbH & Co. KG launched innovative plum ingredients for sauces.